The online connection kit is all you need to connect up to 1000 thermostats via the internet. The Wireless control card plugs into your HVAC unit and allows you to place a wireless thermostat anywhere in the room. Wireless occupancy sensors allow you to expand the occupancy detection area of a compatible Verdant thermostat. The battery powered sensor connects wirelessly to a Verdant thermostat, eliminating the need for any additional wiring. Wireless door/window magnetic switches allow compatible Verdant thermostats to disable heating or air conditioning when a door or window is open. The battery powered sensor connects wirelessly to a Verdant thermostat, eliminating the need for any additional wiring. Wireless Remote Temperature Sensor allows a compatible Verdant thermostat to sense temperature in a different location if the thermostat is installed in a poor temperature sensing location. The battery powered sensor connects wirelessly to a Verdant thermostat,eliminating need for any additional wiring. Wired occupancy sensors allow you to expand the occupancy detection area of a compatible Verdant thermostat. The battery powered sensor connects wirelessly to a Verdant thermostat, eliminating the need for any additional wiring. Allows VX Series thermostats to be mounted without drilling holes in the wall. The thermostat is secured to a wall plate using the supplied machine screws. 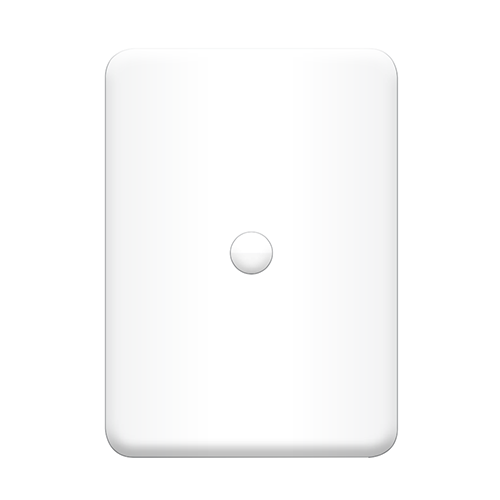 Wall plates can be mounted to a standard electrical box (2” or 4”) and come in either white or black. Allows Wireless Control Cards to be installed at the existing thermostat location. Wall plates can be mounted to a standard electrical box (2” or 4”). Suitable for installations with existing thermostat wiring where the thermostat location is not suitable for an occupancy sensor.